Social media bad? Don’t go on it. That’s one of the major takeaways from this New York Times feature on Doctor Who star Jodie Whittaker, the first female Doctor in the show’s 55-year history. 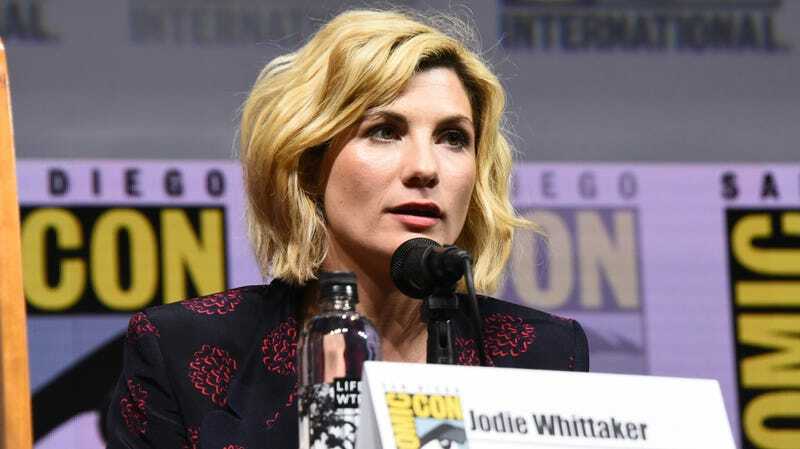 Whittaker, who’s probably best known for playing Beth Latimer on ITV’s Broadchurch, says that she’s sympathetic to concerns shared by fans of her predecessor, actor Peter Capaldi. That’s their guy! They love him! Etc.! But if it’s because she’s a woman, again! Who cares! Read the full piece—including a very Sandra Oh/Killing Eve-esque anecdote about Whittaker not realizing she was being asked to audition for the lead role—right here, and feel free to delete your account at any time! Hey, a Woman Gets to Write a Doctor Who Episode!